Hello. I am TV Editor Todd VanDerWerff, and I’d like to talk to you about some exciting changes coming to The A.V. Club’s TV coverage. If there’s something we pride ourselves on in TV Club, it’s the fact that we’re the best at covering TV shows episodically out there on the Internet. We cover more shows than other publications, and we cover them more quickly and with better-written reviews than anybody else. That’s not going to change. You can still turn here for the best episodic reviews on the Internet, going up within a few hours of air (and immediately if we can get our hands on a screener). But one thing we’ve feared for quite a while is that we’re missing the forest for the trees. In other words, we’re really good at reviewing every individual pine, palm, and elm, but we have trouble when it comes time to zoom out and look at things from a wider perspective. It’s one thing for us to tell you the latest episode of Parenthood was really good; it’s another for us to explain how that fits into the ongoing mosaic of a successful season of television. What’s more, we’ve also sometimes had trouble doing advance reviews of new shows and new seasons of the shows you love. The current TV Club system doesn’t leave much room for them to break out, and if we want to do an advance review of, say, the season opener of Mad Men a couple of days before the season begins to be a part of that conversation, then that article has to stand as both our pre-air and post-air review. It’s a system that, frankly, doesn’t work. So we’re going to change it. Beginning Monday, you can look for a new section right above TV Club on the A.V. Club homepage. In that section, some of our TV Club reviewers (in a transparent bid to get our TV coverage carried on Metacritic) will be taking wider perspectives on shows at various points in their seasons, reviews designed less to provide cutting post-episode analysis but, rather, to provide thoughts on shows as a whole—and whether you should watch them or not. 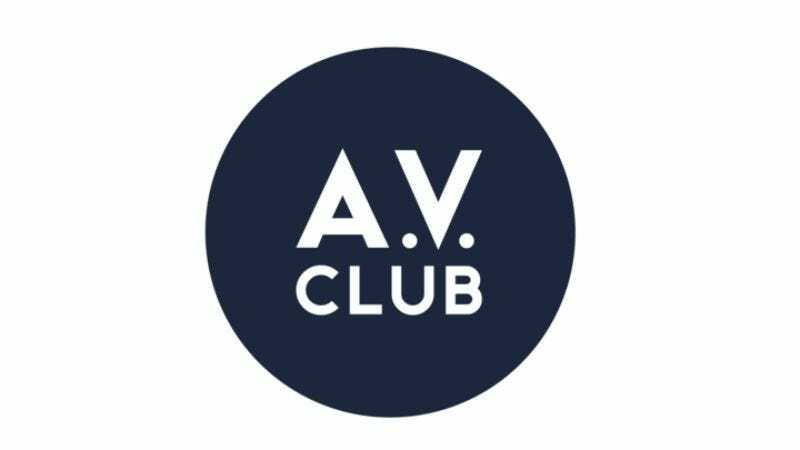 There will be a handful of differences between this and TV Club, but think of it this way: Our new TV reviews section is for pre-air reviews of new shows and more wide-ranging analysis of shows currently on the air, similar to how our film and music reviews already function. TV Club will remain the best place on the Internet for post-air analysis of a wide range of great TV shows (and The Following). Advance reviews of new shows. These will make up the bulk of our content in this new section. We’ll watch every episode of a new show made available to us and recommend whether you should watch or not. Season-ending retrospectives. We’ll also be taking a look at recently wrapped—or about to wrap—seasons and taking a wider view of them. Did The Newsroom’s second season overcome the flaws of the first season? That’s the kind of question that’s often easier to answer in this form than an episodic review. Midseason thoughts. Every few weeks, one of our reviewers will drop in on a show in the middle of its season and offer wider-ranging thoughts about how that season is going and what level of quality it’s at. Again, this can be hard to do in an episodic review. Look for these to start next month, when the shows starting their newest seasons get some time to settle in. Every review will be written from the perspective of someone who’s seen every episode available to them by deadline, and we will let you know how many episodes were screened. Every review will be spoiler-lite. Again, think of our film reviews. If we feel the need to get more in detail on something spoiler-y, we’ll set up a Spoiler Space to discuss it. We won’t just review major new debuts and big shows. We’ll also drop in on shows of note across the programming spectrum. We’ll continue to be earnestly hopeful about the medium and its future, not needlessly snarky about its product. We’re hoping you’ll join us in this endeavor and find these reviews informative and interesting. You can look for new reviews on Mondays, and in weeks when there are a lot of new shows debuting—like on the week starting Sept. 22—you can look for a second batch of reviews on Wednesdays. We’ll try to come up with some sort of weekly schedule, so you know what you can look forward to. David Sims takes a look at Fox’s new supernatural drama Sleepy Hollow, debuting next week. Todd VanDerWerff looks at Fox’s Dads, while Erik Adams checks out Brooklyn Nine-Nine, both of which also debut next week. Phil Dyess-Nugent reviews the second season of The Newsroom, which ends its run Sunday. Sonia Saraiya looks at the entirety of British import The Hollow Crown, coming to PBS next week. Todd VanDerWerff reviews the first two episodes of the second season of The Mindy Project, debuting on Fox next week. We hope to see you there, and happy fall TV season.